If only I had the time and desire. If only I cared to get involved in pointless and endless “discussions” with countless “experts” (often with credentials and often more than willing to throw around their background as proof that they know what they are talking about) about S….. S….Systema. There – I said the “S” word. As a student of violence one should be able to examine new concepts, ideas, and approaches from a neutral position; without being affected by preconceived notions. As a serious student of violence (an “expert”), one should not rush to pass judgment about something one has no substantial experience with – no experience with another serious student (an “expert”) of the method in question. 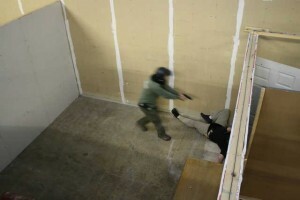 The countless doctrines that are called “truths” by the zealous adherents of these dogmatic methodologies (xyz systems) have brought the state of combatives training to the point where any deviation from the widely accepted “truth” (for example, flinch response being presented as a constant or clinch engagement as unavoidable certainty) is regarded as an unrealistic approach, a stupid fantasy, a marketing ploy, or an outright dangerous lie. This stance is accepted without due process of investigation, research, or training. An inability to question the most fundamental beliefs about all things related to violence leads to dogmatic stagnation. MMA has exposed this troublesome trend in the world of self defense and combatives training to the general public in the West. Many adherents of MMA today are just as much, if not more stagnant and unable (or unwilling) to question their own fundamental beliefs. Many seem to think that their truth, which replaced the previous “fact”, is the ultimate and final truth. Is it really? Aside from people driven by agendas and chronic trend followers (“What’s the next Big Thing?”), most students of violence are fairly set in their ways regarding the preparation for violence. Often this fixed mindset involves much more than finding the method “that makes sense and works”. Sometimes it is a component of an almost religious fervor of the idolization of a specific individual expert and everything that the expert does. Sometimes it is the quest for a niche that gives an individual just enough challenge to feel good about working on improvement, but does not break the bubble of relative safety for ones fragile EGO. 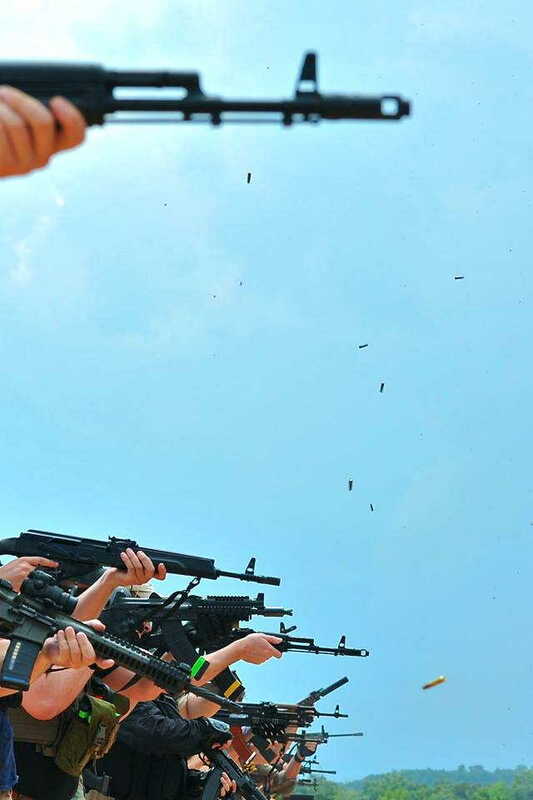 Often it is due to the allure of the cosmetic make up of the training methodology; the appearance of training “hard” is enough to convince many that their chosen path leads to an almost foolproof ability to control the chaos of true violence. Contorted facial expressions… posturing (both physical and psychological)… sick amounts of excess tension in almost anything they do (for reasons not understood by most)…the need – almost pathologic desire for gratification… Yes – on many levels that is what drives many students of violence. What the hell am I talking about??? 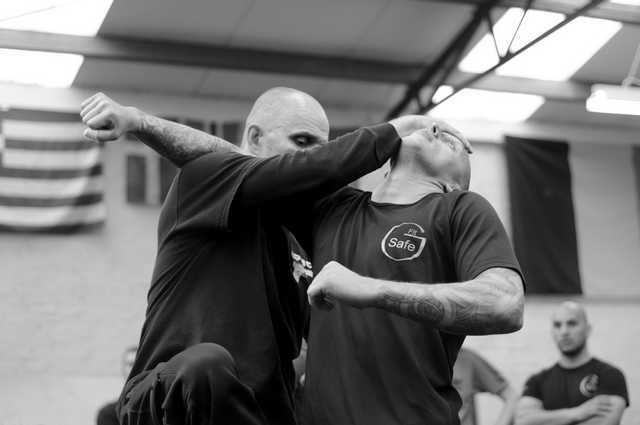 Over the years I have spoken with many practitioners who comment on the fact that Systema strikes inflict so much more intense, lasting, and often will-to-fight-destroying pain without looking as if they could… A challenge, perhaps, to the accepted aesthetics of violence? Must the ability to deliver punishment via physical movement conform to any one specific blueprint? 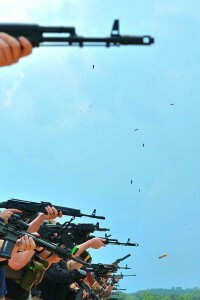 Interestingly, some of the same people, while in the process of developing that ability to strike very hard without outwardly appearing to do so, later commented that they don’t feel like they are hitting hard; were puzzled by the fact that their training partners were experiencing the revelation of a potentially fight-ending strike without any substantial bio-mechanical feedback being delivered back to the striking individual. The customary confirmation was not being received, the gratification of knowing they had “hit hard” was not forthcoming. 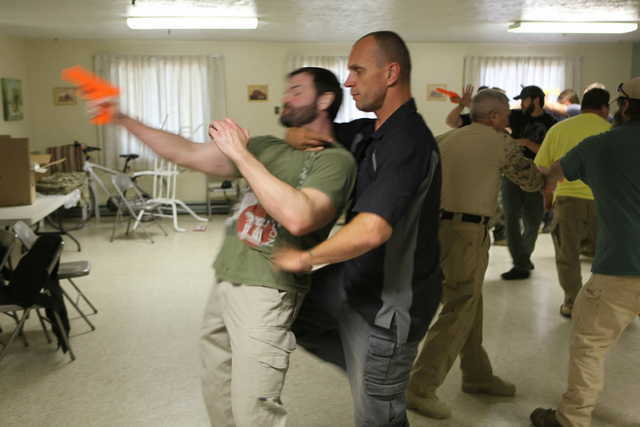 Systema – It is a combat method for adults in combatives. This Russian-born fighting method has generated discussions and heated arguments in the modern combatives/martial disciplines realm at levels rarely experienced by other methodologies. It is often ridiculed and summarily dismissed by self-proclaimed “reality-based combatives” experts and adherents. Though, for the serious and truly skilled proponents of Systema, this criticism seems to matter very little, we will try here to examine some of the issues and take a deeper look at the misconceptions, the misrepresentations, and the outright BS. Systema is far more than a martial art. As one saying goes, “It is the fighting system created in a moment…for that moment.” Ambitious statement? Stupid cliché? Impossible task? The majority of combat methods and systems are primarily focused on the development of skill sets for relatively specific environments and situations. What does it mean to be strong in the context of combat? We all know the traditional recipe – a combination of weight lifting, running, some calisthenics, heavy and speed bag work, prolonged grappling bouts, and a dash of the latest trend – kettlebells, crossfit, etc.- thrown into the mix for flavor. Is this concoction the key to the development of physical attributes that best address the realm of the combative environment? I submit that it is not. There is very profound difference (especially in a combat context) between using strength and being strong. The above-mentioned approach develops fighters capable of using strength, however, more often than not, the fighter becomes dependant on using that strength to a higher degree than their opponent is capable of. The focus on the development of large muscle groups, required for gross motor skill-based movements and techniques, usually leaves significant gaps in the development of connective tissue and smaller, deeper-seated muscles. These muscles can and should perform a significant portion of the basic work from which the “fighting” work projects itself as an extension of the base movement. In Systema, conditioning work (often referred to by Systema practitioners as “breathing work” or “warm up”) is very different. 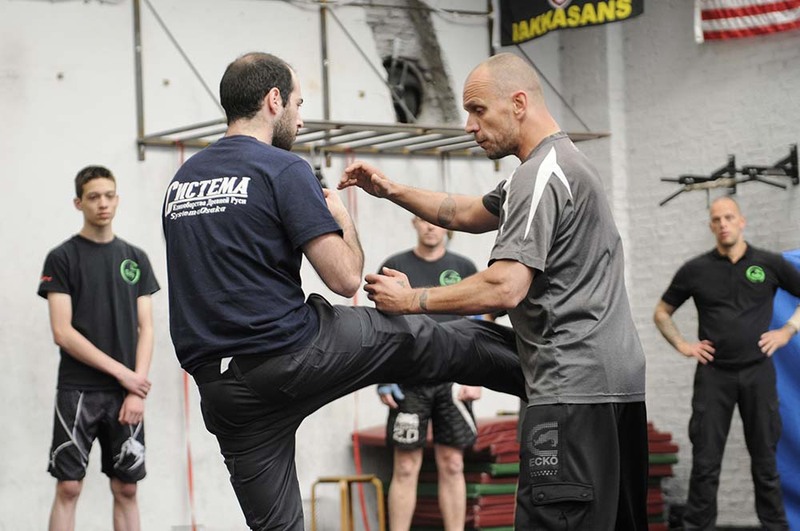 Even well-conditioned non-Systema trained fighters often have a very difficult time performing relatively basic Systema conditioning exercises. Those exercises tend to immediately expose and address the imbalance that is so common in fighters coming from different disciplines. Of course there is much more to it than I’m willing to spend time on in this post. The heavy bag swinging wildly and the loud, dull thud of the impact of your hand… do they mean anything in the context of combat? What is the difference between knock-down power and the infliction of serious injury to even the deeper-seated tissues: internal trauma that affects vital functions? And before someone goes there – it has nothing to do with chi, ki, “internal” energy, and all that – just pure physics, kinematics, and mechanics. Humans do not strive to be uncomfortable. No one intentionally walks awkwardly, throws a ball poorly (if they are genuine in their purpose to do it well), or fights in a way that is uncomfortable to their bio-mechanical structure or psyche. Though these actions may be born of stressful situations, no one intentionally makes himself less coordinated or clumsier than they naturally are or have trained themselves to be (certainly more common up to the point of panic taking over one’s mind). They will work in the most efficient way that their memory, subconscious or conscious, and mechanical physiology allows. In essence – our bodies naturally seek comfort. We stand and move (in all forms, including fighting) due to constantly changing and adaptive tension. Constriction is triggered by our central nervous system via efferent and afferent neurological transmissions, guided and directly linked to so-called “muscle memory”- memories and experiences of our life; good or bad, right, wrong, or indifferent. Training is one of those experiences. Training shapes our movement (in all forms) during the fight. Depending on how long we have trained to move certain ways, preconditioned responses to stimuli will manifest. If your training reflects the dogma that states that “sprawl” is the response to a double-leg take down attempt, your ability to simply get out of the way will be severely limited. In reality, it takes no more time to move in a 4 or 8 o’clock direction than it does to sprawl, offering a lot more options without “marrying” an attacker. So then, how you train – whether following the dogmatic truths or seeking to free your movement and responses from any psychological and physical limitations – will determine the amount of tension (limitations) inevitably present in your work. And by “tension” I mean more than the merely physical. Training to operate under the stress of combat with the minimum of necessary tension gives one the freedom to instantly adapt to changing situations. Conversely, following the preconditioned response path can force one to be totally reactive fighter – surviving rather than prevailing. Let’s talk speed. True speed generally comes from 3 sources: fear, knowledge (skill would be more accurate, probably), and relaxation. Any one of these three gives the perception of “speed”. Fear causes you jerk out autonomically; that is, a fast automatic reflex-type of action. And so, what is wrong with fear? After all, if fear gives rise to speed, and if speed is desirable, then is fear something we truly want to reduce? Sound counter-intuitive? The issue is that fear-driven speed is uncontrollable. It is reactive by nature and, as such, movements permeated by this type of speed are very far from being the most efficient, effective, and reflective of the situation at hand. Finally, relaxation allows you to move fast. Relaxed movement (again, please realize that I use the term in a much broader sense than just physical relaxation) is free of extra baggage and unattached. In my humble opinion one cannot reach this point without moving through the previously mentioned stages. Furthermore, only a strong body and mind can afford to be relaxed. Most methodologies operate from the premise that fear-based speed is a constant and cannot be replaced, only enhanced through training and gaining skills (knowledge-driven speed). Yet the very core of such speed remains fear. Hence we have default flinch-response training advocated by many experts. It is good for what it is: fear-based response training. But, does the buck stop here? I submit not. Are all things and responses we call “reflexive” truly natural? Or are most of them learned responses based on experiences and interpretations thereof? Is it possible that family, society and cultural norms have enormous influence on our perceptions of so many things? From the beginnings of infancy forward: pain, danger, emotional responses to stimuli… we accept a multitude of things and attributes for what they are not natural, and thus impossible to change. And without ever questioning this fundamentally flawed dogma we progress (maybe in the wrong direction based on the starting premise) in our preparation to cope with violence; basing the training concepts on a foundation constructed of flawed dogma. Anything we do in the fight (as well as other realms of life) must be goal-oriented, correct? One goal at the time or one big goal? The Big Picture? When you launch a strike toward your adversary, what is the expectation? First and foremost: for that punch to land – hopefully precisely on the intended target. Next, what will that punch do to the adversary? Many believe that this goal is mainly dependent on their ability to generate power and speed, forgetting the issues of good mechanics (sound, solid, and structurally robust), proper timing, absent or limited telegraphing, etc. etc. Even if we do consider ALL of it and train accordingly… I submit that this solves only 50% of the equation. The other half will be determined by the adversary – by his actions, movement, tension, etc. In the fight, it is not “me” and “you”. It is “us”. Most people train to do what they feel is needed to overwhelm and subdue (or more) their opponent(s). Others (like a substantial segment of modern aikido practitioners) go to the other extreme and recite the dogma of “using the attackers’ energy against themselves”. One of the issues, fundamental at that is the tendency to isolate “techniques” and extract them from the more general realm of “movement”. Training becomes technique-centric rather than attribute-oriented. More often than not, the “technique” is confined in definitions – being trained and perfected as a “stand alone” solution to very complex and unpredictable environment. In essence, we lose the sight of “big picture”, replacing it with a detailed “technique” approach. Every aspect of such “techniques” can be “what if’d”, and often are. As a result, the “technique” is reduced to the level of “caveman simplicity”, with some being outright rejected under the charge of not being robust enough. The problem is that attributes should be subjected to such scrutiny, not the snapshots of the fight progression (which is what techniques are), often taken out of context. If we were to approach the attributes with such detailed examination, each individual practitioner with time and effort can develop the ability to “create” endless “techniques” for the situation at hand… in real time. In the moment – for that moment.